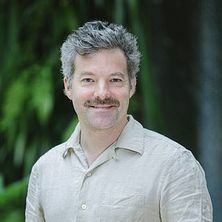 Dr. Sébastien Darchen joined the School of Earth and Environmental Sciences (SEES) at the University of Queensland in 2011 after being affiliated with the Faculty of Environmental Studies (York University, Toronto) from 2009 to 2011. He was a Faculty member of the City Institute in Toronto. Previously, he was a post-doctoral fellow at the Canada Research Chair on the Socio-Organizational Challenges of the Knowledge Economy (Teluq-UQAM, Montreal) from 2007 to 2009. He holds a PhD in Urban Studies obtained in 2008 from INRS, Urbanisation, Culture et Société (Montréal, Canada). Dr. Darchen studies the political economy of the built environment with a focus on the strategies of urban stakeholders involved in the provision of the built environment (Developers, City Planners, etc.). Hi main research area is the urban regeneration of city centres and inner-city suburbs (Canada, U.S, France and Australia). Dr. Darchen also analyzes creative economy policies and their effects on the localisation of creative economy firms (e.g., video game companies). His current research is on the factors influencing the emergence and growth of local music scenes in cities. Darchen, Sébastien and Searle, Glen (2019). Conclusion. In Sébastien Darchen and Glen Searle (Ed. ), Global Planning Innovations for Urban Sustainability (pp. 197-207) Abingdon, Oxon United Kingdom: Routledge. Napoli, Amanda, Darchen, Sébastien and Spivack, Donald (2019). Los Angeles, United States adaptive re-use of buildings to regenerate the inner-city. In Sébastien Darchen and Glen Searle (Ed. ), Global Planning Innovations for Urban Sustainability (pp. 135-147) Abingdon, Oxon United Kingdom: Routledge. Global Planning Innovations for Urban Sustainability. Edited by Darchen, Sebastien and Searle, Glen Abingdon, Oxfordshire United Kingdom: Routledge, 2018. Darchen, Sébastien and Searle, Glen (2019). Planning innovation politics and process for urban sustainability. In Sébastien Darchen and Glen Searle (Ed. ), Global Planning Innovations for Urban Sustainability (pp. 1-11) Abingdon, Oxon United Kingdom: Routledge. Darchen, Sebastien (2016). Toronto: Creative City Practice and Redevelopment in the Entertainment District. In Culture, Creative Industries and Urban Regeneration (pp. 189-197) China: WQ Book. Attracting knowledge workers and the creative city paradigm: Can we plan for talent in montreal? Darchen, Sébastien and Tremblay, Diane-Gabrielle (2014). Attracting knowledge workers and the creative city paradigm: Can we plan for talent in montreal?. In Seeking Talent for Creative Cities: The Social Dynamics of Innovation (pp. 141-158) Toronto, ON Canada: University of Toronto Press. Darchen, Sébastien and Tremblay, Diane-Gabrielle (2014). Attracting knowledge workers and the creative city paradigm: can we plan for talent in Montreal?. In Jill L. Grant (Ed. ), Seeking Talent for Creative Cities: The Social Dynamics of Innovation (pp. 168-189) Toronto, ON, Canada: University of Toronto Press. Darchen, Sebastien and Tremblay, Diane-Gabrielle (2010). La thèse de la «classe créative» : Revue des écrits et perspectives de recherche. In Diane-Gabrielle Tremblay and Rémy Tremblay (Ed. ), La classe creative selon Richard Florida: Un paradigme urbain plausible? (pp. 17-37) Quebec, Canada: Presses de l'Université du Québec. Darchen, Sebastien and Tremblay, Diane-Gabrielle (2009). L’intervention de l’acteur municipal au Québec : L’étude de cinq politiques familiales municipales. In Marie-Agnès Barrère-Maurisson and Diane-Gabrielle Tremblay (Ed. ), Concilier travail et famille : Le rôle des acteurs France-Québec (pp. 409-432) Quebec City, Canada: Presse de l'Universite du Quebec. Darchen, Sebastien (2009). Vers un urbanisme de créneau. Saint-Laurent dans la région métropolitaine de Montréal. In Gilles Senecal and Laurence Bherer (Ed. ), La métropolisation et ses territoires (pp. 87-103) Quebec City, Canada: Presse de l'Universite du Quebec. Darchen, Sebastien (2017, October 06). Underground in Brisvegas: can an electronic dance music artist thrive outside the city?. , . Darchen, Sebastien (2016, August 19). Gaming trends show cities need to rethink how they tap into creative economy. , . The regeneration process of entertainment zones and the Business Improvement Area model: a comparison between Toronto and Vancouver. Huston, Simon, Darchen, Sebastien and Ladouceur, Emma (2012) De-risking transport-oriented development regeneration. Journal of Urban Regeneration and Renewal, 5 3: 224-234. Darchen Sebastien (2012, February 10). Next level thinking: A way forward for the Australian video game industry. , . What attracts and retains knowledge workers/students: The quality of place or career opportunities? Tremblay, Diane-Gabrielle and Darchen, Sébastien (2010) Municipal family policy and work-family articulation: the case of five Québec municipalities. The Canadian Journal of Regional Science, 33 1: 15-32. Darchen, Sébastien and Tremblay, Diane-Gabrielle (2008) La these de la "classe creative": son incidence sur l'analyse des facteurs d'attraction et de la competitivite urbaine. Interventions Economiques, 1 37: 1-16. Saint-Laurent: Transformations urbaines d’une ville de banlieue: Quels changements dans la relation centre/périphérie? Darchen, Sebastien and Poitras, Claire (2007) Saint-Laurent: Transformations urbaines d’une ville de banlieue: Quels changements dans la relation centre/périphérie?. Canadian Journal of Urban Research, 16 2: 73-93. Matthew, Zenkteler, Darchen, Sebastien, Derlie, Mateo-Babiano and Anthony, Halog (2015). People, places and technology: mapping the locational preferences of home based workers in Sydney and Melbourne metropolitan areas. In: State of Australian Cities National Conference 2015: Refereed Proceedings. State of Australian Cities National Conference, Gold Coast, QLD, Australia, (). 9-11 December 2015. Darchen, Sebastien and Napoli, Amanda (2014). Adaptive re-use and the marketing of downtown LA living: the construction of a new urbanity. In: The Mediated City: Selected Paper. The Mediated City Conference, Los Angeles, California, (1-9). 1-4 October 2014. Greenop, Kelly and Darchen, Sebastien (2013). Brisbane’s urbanism: looking for an identity. What can we learn from Inala. In: Jeffrey Featherstone, Proceedings of the 49th ISOCARP Congress. 49th ISOCARP Congress 2013, Brisbane, Australia, (1-15). 1-4 October 2013. Darchen, Sebastien and Tremblay, Diane-Gabrielle (2013). Creative economy policies for the video game industry: an Australia/Canada comparison. In: AAG Annual Meeting 2013, Los Angeles Ca, (). 8-14 April 2013. Searle, Glen, Darchen, Sébastien and Huston, Simon (2013). Delivering successful TOD projects in the context of inner-city suburbs: case studies from Brisbane, Melbourne and Sydney. In: PIA 2013: Planning Institute of Australia National Congress 2013, Canberra, ACT, Australia, (). 24-27 March, 2013. Huston, Simon, Darchen, Sebastien and May, Kylie (2013). Recent Ipswich CBD revitalisation - backdrop and reflections. In: Proceedings from the PRRES Conference - 2013. 19th Annual Pacific Rim Real Estate Society Conference, Melbourne, Australia, (1-14). 13-16 January 2013. Mateo-Babiano, Iderlina B. and Darchen, Sébastien (2013). Vertical mixed use communities: a compact city model. In: Kristian Ruming, Bill Randolph and Nicole Gurran, State of Australian Cities Conference 2013: Refereed Proceedings. SOAC 2013: 6th State of Australian Cities Conference, Sydney, NSW, Australia, (1-11). 26-29 November, 2013. Darchen, Sebastien (2012). Creative economy policies : the case of the video game industry in Brisbane and Melbourne (Australia). In: AAG Annual Meeting 2012, New York City, N.Y. United States, (). 24-28 February 2012. Darchen, Sebastien (2012). Does place-making lead to socially sustainable communities? Study of the Fortitude Valley Renewal Plan. In: Conference Proceedings: 5th International Urban Design Conference 2012 Peer reviewed papers. 5th International Urban Design Conference 2012, Melbourne, Australia, (60-68). 10-12 September 2012. Huston, Simon, Darchen, Sebastien and Ladouceur, Emma (2012). TOD development in theory and practice: The case of Albion Mill. In: Proceedings from the PRRES Conference - 2012. 18th Annual Pacific-Rim Real Estate Society Conference, Adelaide, Australia, (1-11). 15-18 January 2012. Darchen, Sebastien (2011). Creative city movements in Toronto and Vancouver: A comparative analysis. In: Paul Maginn, Proceedings of the 3rd World Planning Schools Congress. 3rd World Planning Schools Congress (WPSC2011), Perth, W.A., Australia, (1-18). 4-8 July 2011. Darchen, Sebastien (2011). Creative city strategies in Toronto and Vancouver: Towards a comparative analysis with Australian cities (Melbourne and Brisbane. In: State of Australian Cities National Conference 2011. State of Australian Cities National Conference 2011, Melbourne, Australia, (1-10). 29 November - 2 December 2011. Darchen, Sebastien and Simon, Gwendal (2018, March 12). France has a unique approach to regenerating inner cities – what can we learn from its success?. , . Liu, Yan, Mateo-Babiano, Iderlina and Darchen, Sebastien (2018, January 30). How virtual 3D modelling and simulation can help us create better cities. The Conversation, . Darchen, Sebastien, Pojani, Dorina and Sipe, Neil (2017, September 11). Movies and TV choose to tell us different stories about the cities of today. The Conversation, . "Spatial Integration of Post-Apartheid Cities: Case Study of Windhoek, Namibia"